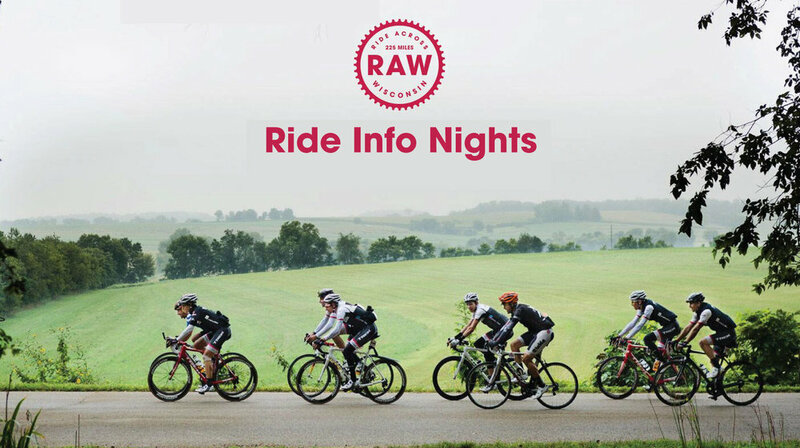 Come to a Ride Across Wisconsin Ride Info Night! Learn about the ride and route. Ask questions, get inspired and get tips on how to train for an epic ride of this caliber! ALL are welcome: registered riders, interested parties, people who want to volunteer or help with the ride!